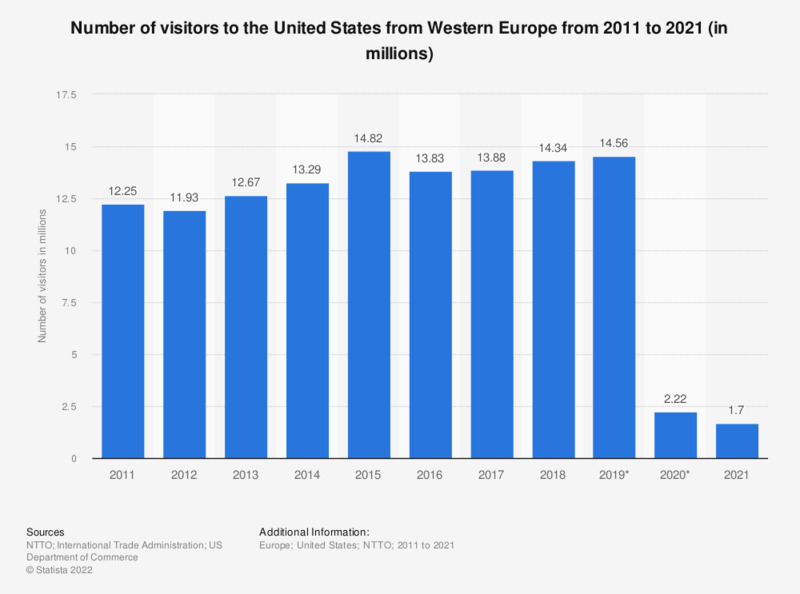 The statistic shows the number of international visitors from Europe to the United States from 2012 to 2021. In 2016, there were approximately 14.72 million overseas visitors from Europe to the United States. * Forecast for 2017 to 2021. For 2014 data, annual arrivals forecasts include a technical data-processing change that increases the 1+ night visitor counts compared to previous forecasts. The 2014 country volumes and change metrics, therefore, may not be comparable to data for 2013 and the years prior to 2013.